When we think of the joys of childhood, we often imagine a scene of children running, laughing and playing in a playground. 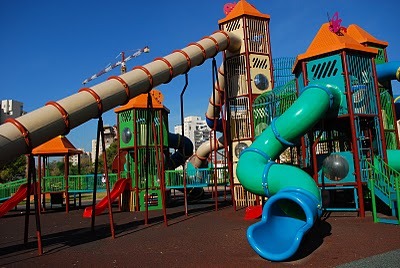 While the playgrounds of today are much safer than than those of the past, with sharp corners eliminated and cushioned surfaces underneath, there are still a large number of emergency room visits resulting from playing on this type of equipment. It seems that the three biggest causes of serious injury or death in a playground are hangings, equipment failure and falls (despite the cushioning). Fear doesn’t have to ruin the fun if some simple common sense precautions are taken. Never allow children to play on playground equipment wearing hoodies or any other garment with a tie around the neck. Never leave children unattended on rope equipment where their head can become entangled. Always inspect playground equipment for sharp edges or parts that are worn enough that they might break. Never allow a child to go down a slide head first. If you have playground equipment at home, consider the surface underneath. The majority of public playgrounds have cushioned surfaces underneath, but the majority of home playgrounds do not. If your child does take a fall while playing, even if there seems to be no major injury, consider taking them in for a Chiropractic exam/adjustment. 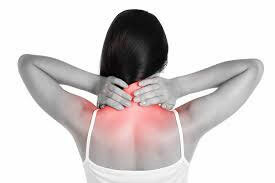 Jarring falls can create spinal misalighnment, which left uncorrected can develop into long term problems later on. The same holds true for adults. Many of the activities of an active life can cause the spine to go out of alignment. Safe, natural, painless Chiropractic adjustments can make the difference between a continued healthy, active life or long term pain. So, go ahead and enjoy the summer with a healthy, active life for you and your children, but don’t neglect your spine or theirs. You only get one.